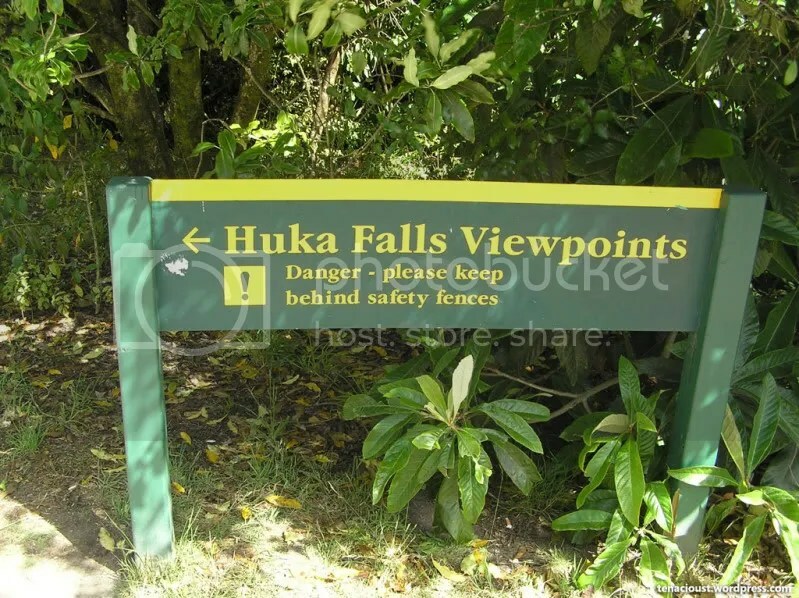 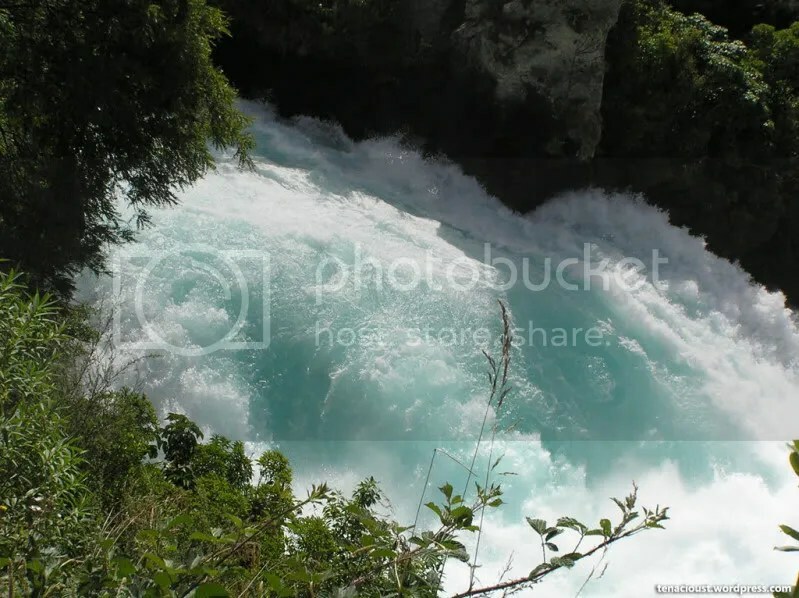 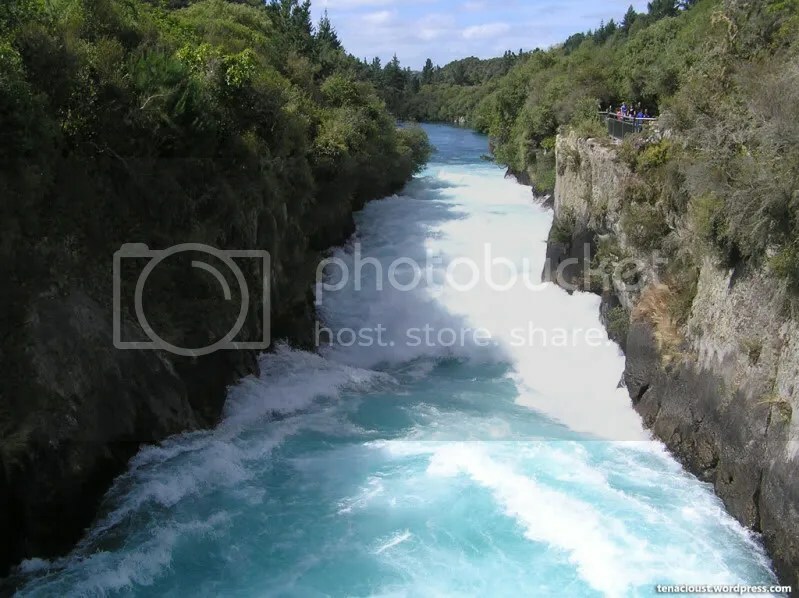 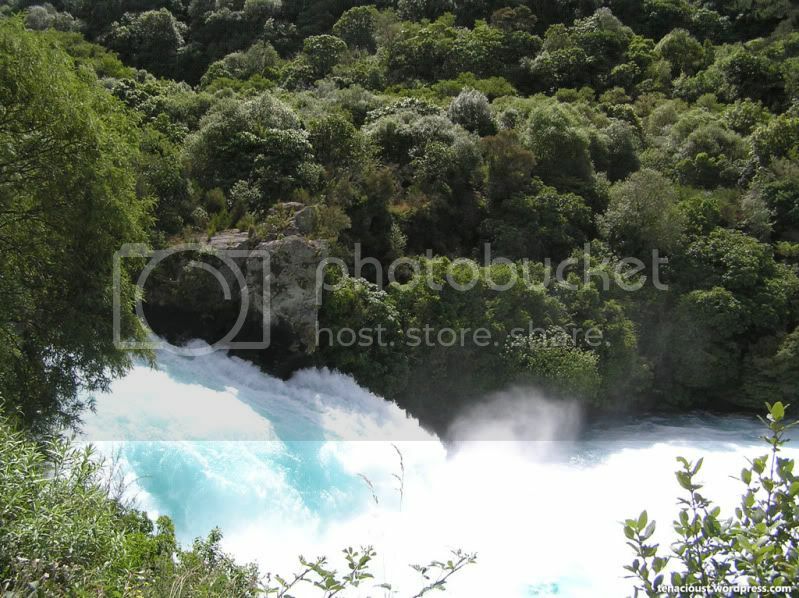 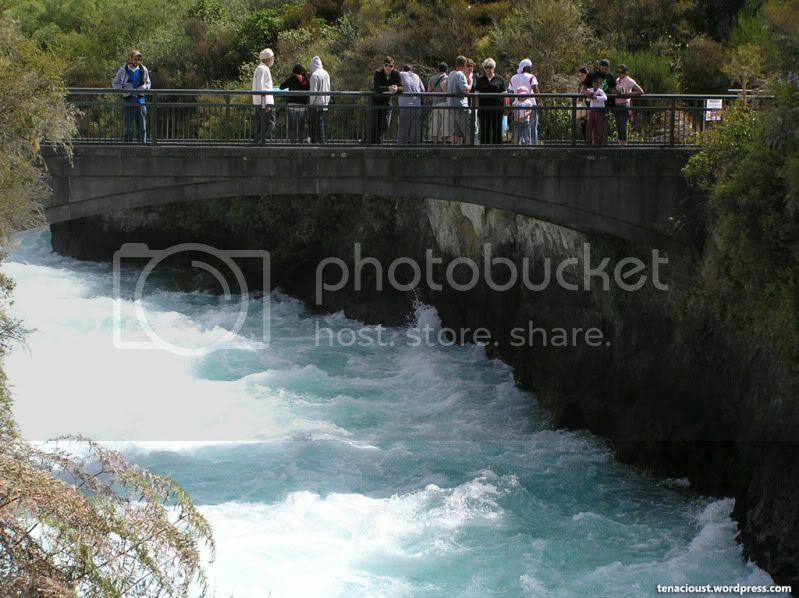 One of the stop that I wanted to make before reaching Lake Taupo was Huka Falls. 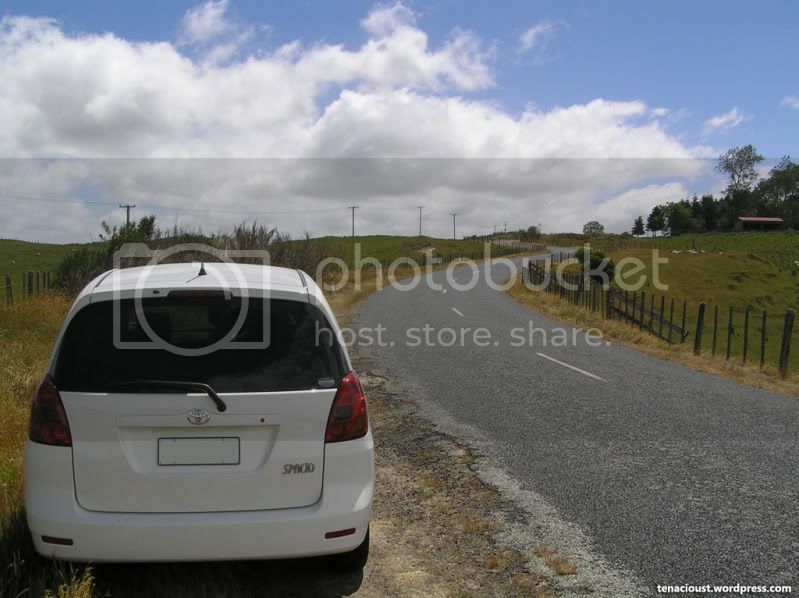 After a couple of misses along the Thermal Explorer Highway, we finally found it. 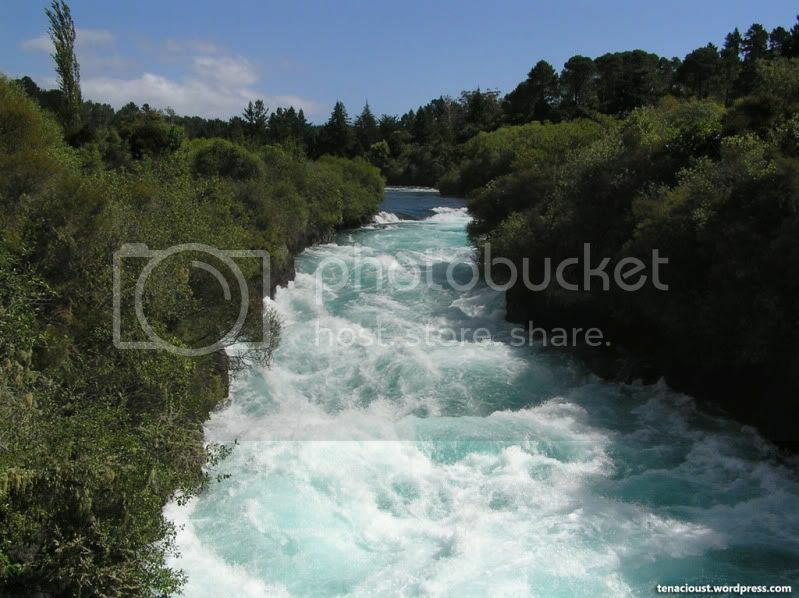 The volume of clear water that drains from Lake Taupo is absolutely spectacular to look at. 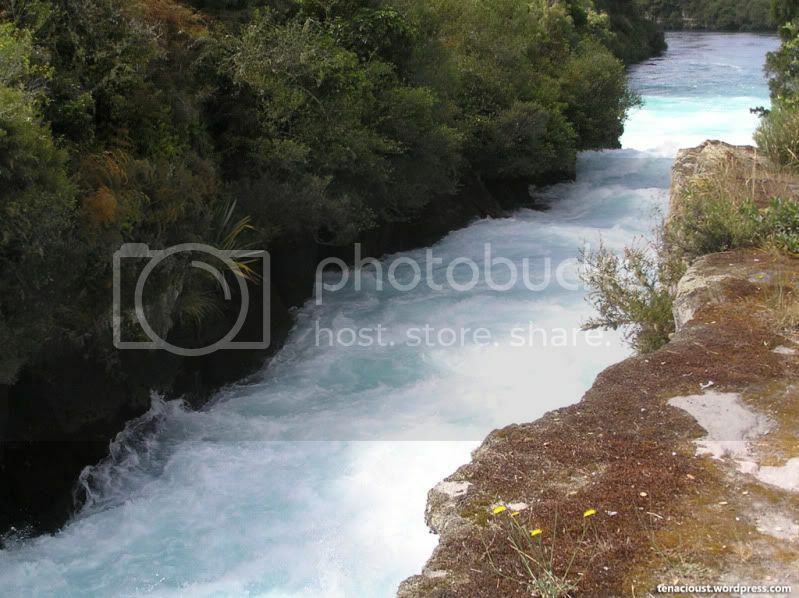 After Huka Falls, we headed south towards our last stop of the day in Taupo. You might be fooled to think that this is a beach. 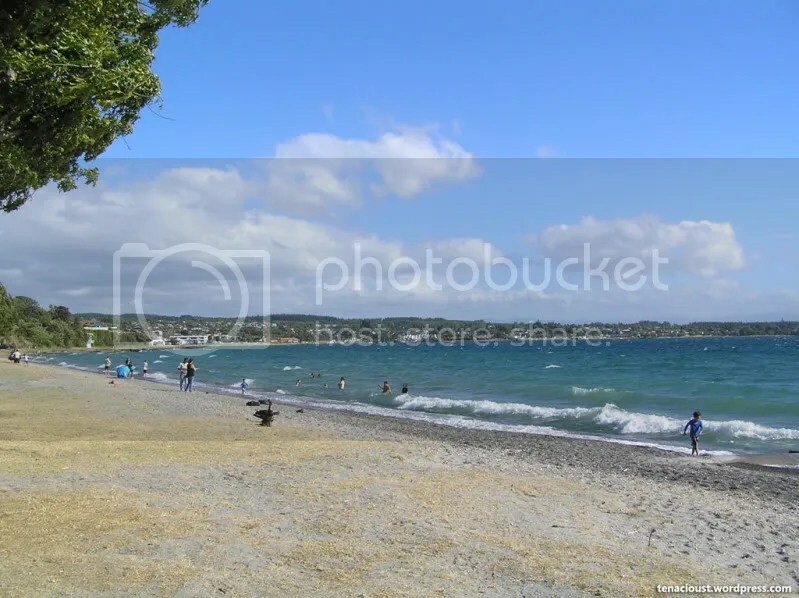 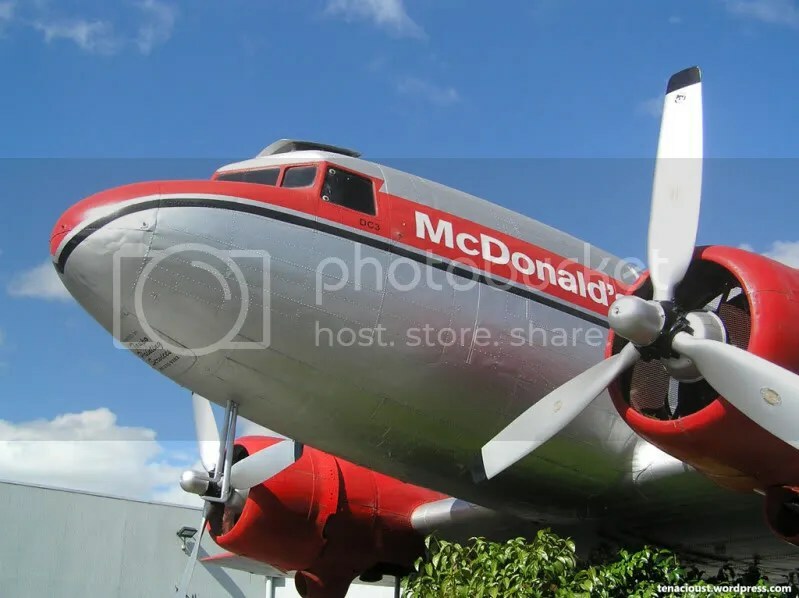 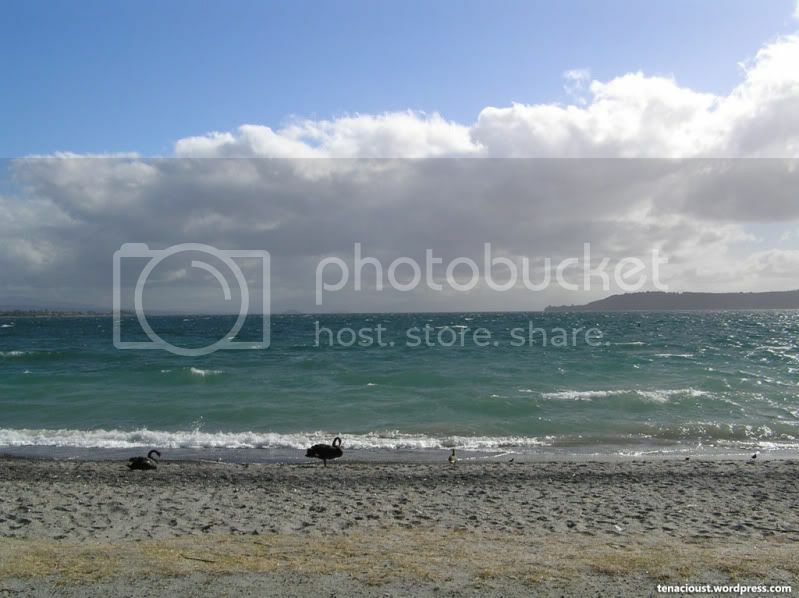 This is in fact Lake Taupo, the largest lake by surface area in New Zealand, and the largest freshwater lake in Oceania. 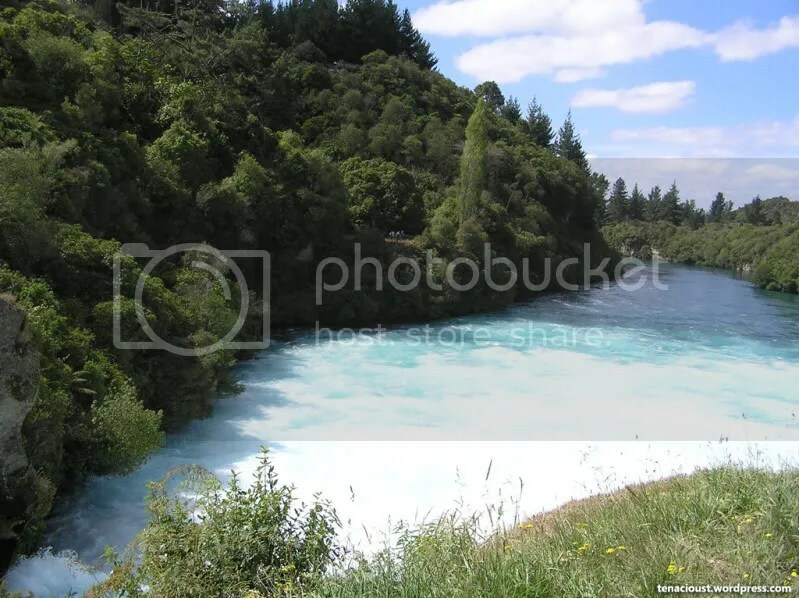 The water is pristine and blue! Can’t see that kind of bluish colored water in M’sia. Did you tapau anything back?